The specter of “friendly” chemical dispersants used in oil spill response was just resurrected in a CNN opinion editorial over the weekend. The ghost was adorned with the finest of the oil industry’s favorite sayings of the past 40 years. Oh? As any boater knows, it’s illegal to discharge soap and detergents, or any other cleaners, into the water because they are pollutants that can be lethal to aquatic life. Also, does anyone use dispersants to wash dishes? No. Because in addition to surfactants (an ingredient of dish soap), dispersants contain a nasty blend of industrial solvents including many known human health hazards. So? More than 80,000 chemicals in the United States are used in common products without full testing of their effects on our health and the environment. Companies pull some of these chemicals out of their products when public safety advocates spotlight health dangers. For example, a growing number of shampoos and sunscreens have removed parabens (carcinogens) or phthalates (endocrine disrupters). As of 2013, Simple Green no longer contains 2-butoxyethanol, a human health hazard that breaks apart blood cells, but Corexit 9527, a dispersant used during the BP Deepwater Horizon disaster, still contains up to 60 percent 2-butoxyethanol by weight. Sure do––and that makes it impossible to remove the oil from the water. The oil-water emulsions separate over time just like salad dressing, and form oily sediment mats that drift about and occasionally wash ashore by the ton––like more ghosts from BP’s oil spill past. For these reasons, sinking agents are supposedly prohibited during oil spill response. 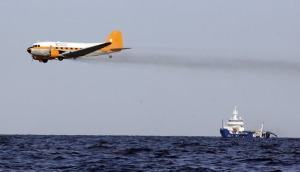 So why not prohibit dispersants? Nope. Much of the post BP disaster science has found that oil and dispersants combined actually increase toxicity to marine life. As legendary ocean researcher Sylvia Earle says in the documentary expose on dispersants Pretty Slick: Kill the ocean and you kill all life on the planet. Absolutely. But no one told people along the Gulf coast that their health and their children’s health were part of the trade-off to cover up BP’s oil spill. Saudi Arabia banned dispersants because the country desalinates seawater for drinking. Now there are fresh water dispersants––would you want dispersants in your drinking water? Startup of the oil industry’s spin machine signals that EPA may be close to opening the public comment period for its proposed updates to the rules governing dispersant use––a process EPA initiated in 2001. Don’t be fooled by industry rhetoric or by scientists who ignore collateral damage to people. 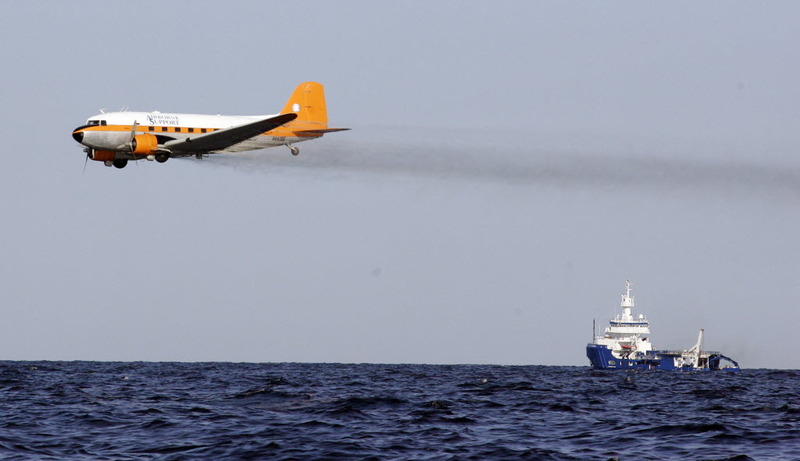 Dispersants are the Agent Orange of oil spill response. Help push the environmentally unfriendly ghost of oil spills past back to the past––for good. Share this article and sign up for our newsletter – the ALERT team will keep you posted on the EPA’s next moves. Remember, the next big spill could be in your backyard.